It has published a summary document for policy makers making policy and investment decisions into renewable energy systems (Solar PV) that emphasises the need for robust quality assurance, namely standards and accredited conformity assessment. 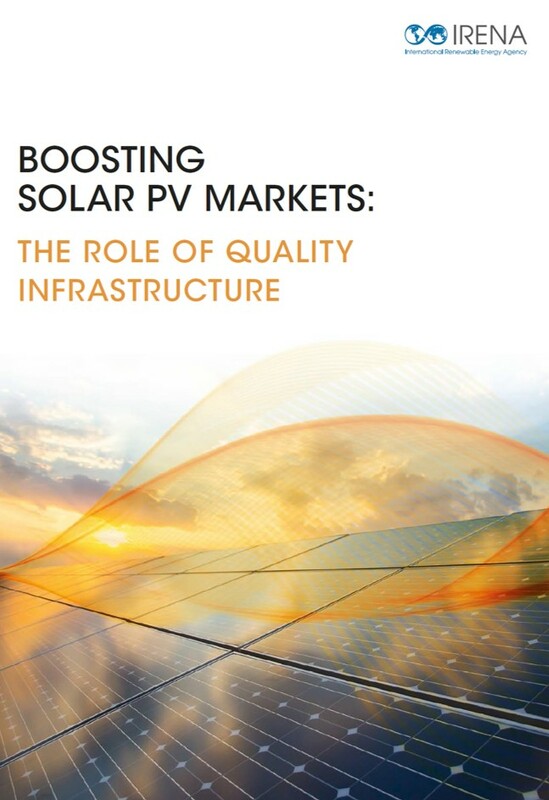 It states that quality assurance is crucial in order to reduce electricity costs, since it contributes to ensuring stability for the investors and other stakeholders and it is an essential instrument to protect and accelerate future investments in PV deployment. It helps to reduce risk by providing the confidence that a product or service will meet expectations which, in turn, lowers capital costs, raises performance, increases module lifespans and, finally, lowers the cost of investment. The report is available on the IRENA website.